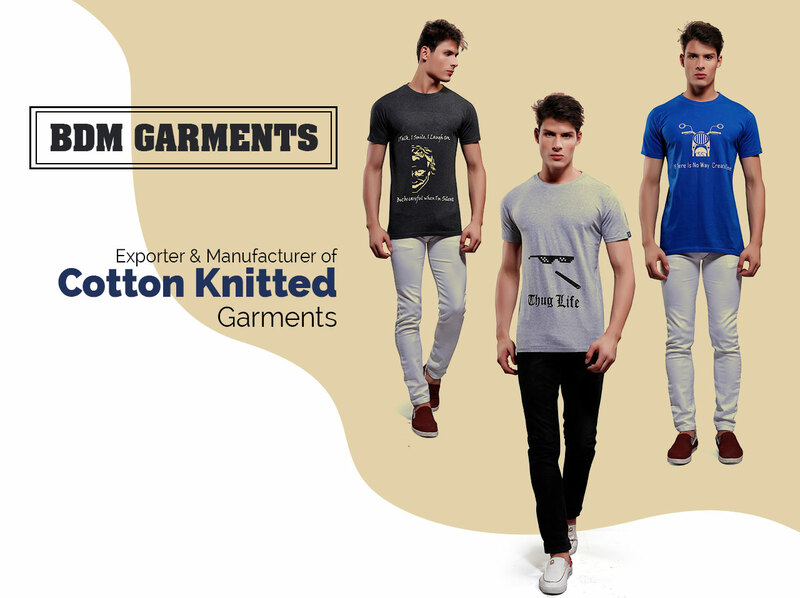 We are one of the upcoming exporter, manufacturing knitted garments for all age group.Company Established in the Year 2005 with a Factory Area of 15000 sqf. We are Exporting Knitted Garments mainly to Germany and little to other parts of Europe. Contemporary technology and continuously upgaded skill sets have resulted in our high quality products. We pursue a single goal of customer satisfaction by supplying quality products and on time delivery. Our products have found acceptance of all across the world and have helped us in establishing long lasting relationship with our clients. We Currently produce T-shirts for men and women in the brand name DUDEtrendx which will be sold in e-stores in Apr-2018 onwards.